What role do you play at your holiday parties? Well, that's a slightly unfair question, isn't it? There are a lot of different kinds of holiday parties out there, a lot of different roles to play. Want us to help you out with all of your parties this season? No, we can't help you make that green bean casserole to bring to dinner. Come on, that's easy, you should be able to figure it out. We'll help you with your wardrobe, yep, one ensemble for all of your parties. There are family parties loud with people talking over each other while an annually watched Christmas movie plays on TV and your aunt Phillis warbles Bing Crosby songs in the kitchen. Your job is to round up those nieces and nephews, not to mention your aunt Phillis. You'll have no problem keeping those Christmas elves in line as you'll have a an air of holiday authority in your suit. 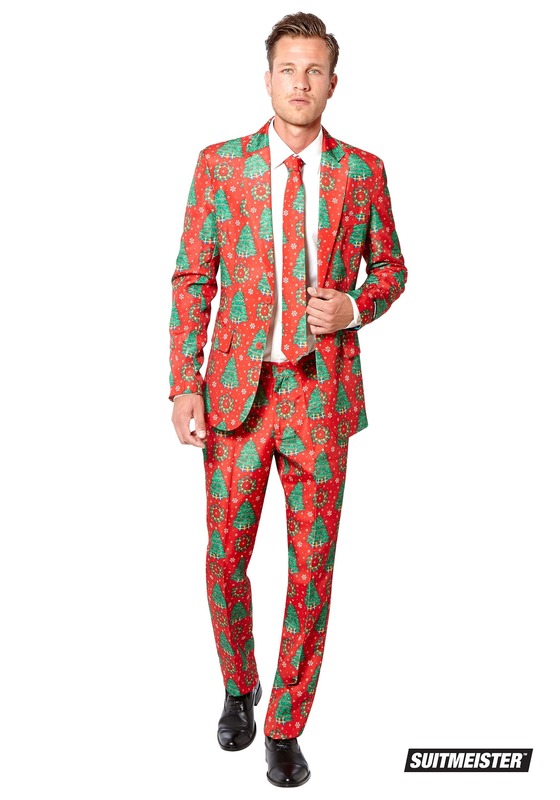 Let's say you're going to that office party, you'll have no problem looking business casual and festive at this same time in this suit. Last of all, maybe you're headed out to an ugly sweater bar crawl, this obviously isn't a sweater but you'll fit in with the crowd while wearing this red and green design. After all, it's better to be over-dressed than under-dressed. 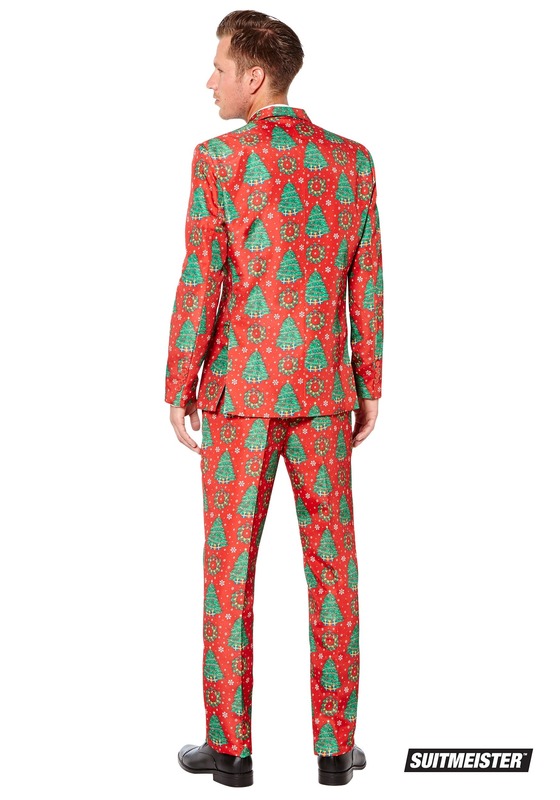 If all you wanted for Christmas was one outfit you could wear to all your parties then this is the suit you're looking for. You'll get plenty of wear out of it as people will be expecting to see it at next year's soirees too, after all, Christmas is all about tradition. So, we've figured out your role at all of your Christmas parties, forget the green bean casserole. Now, you're suit guy.